Knowing Jesus Christ is becoming more and more of a passion for me. One of the many ways I see Jesus in the scriptures is through types of Christ, such as Melchizedek, Joseph and David. None of them are perfect, but they help to point out different characteristics of Jesus Christ, so I can know Him better. …death reigned from Adam until Moses, even on those who had not sinned in the likeness of Adam’s transgression, who is a type of the coming One. It was not good for Adam to be alone, so God made Eve of him and for him, to be a helper. The church is the Last Adam’s Eve, and came from Christ and is to live for Christ. Yet there is also somewhat of a reversal – it is not good for Eve (the Church) to be alone, so the Last Adam gave us a Helper (John 14:16). Eve was Adam’s helper, taken from his side. The Holy Spirit is called Parakletos, meaning one who comes “along side”. Eve was a fit companion of Adam because she was like him. Jesus is fit as our High Priest because He was made to be like us (Genesis 2:18-23, Hebrews 2:17). God created us to be like Him, and His intent is that we also become like Christ (Romans 8:29, 1 Corinthians 15:49, 1 John 3:2). Adam and Eve were given the command to multiply and fill the earth (Genesis 1:28). 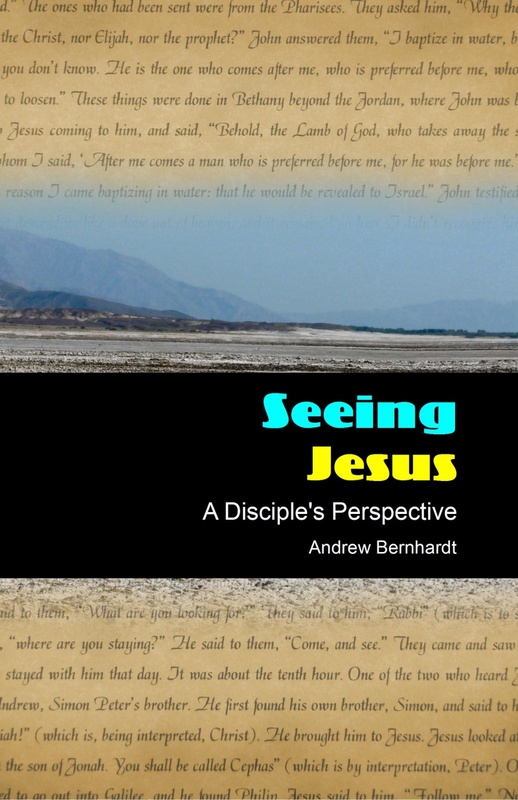 Jesus’ disciples were commanded to make disciples throughout the world (Matthew 28:18-20, Acts 1:8). In both cases, the multiplying is considered a gift of God (Genesis 4:1,25, Acts 11:18, 1 Corinthians 3:6). In both cases, the “image” is passed on (Genesis 5:3, 1 Corinthians 15:49). In both cases, this can only happen through a union: Adam with Eve, and the Church with the Spirit of Christ. Adam and Eve were “one flesh” (Genesis 2:24). Christ and His Church are also one flesh (Ephesians 5:30-32). Both Adams were the only ones to fully realize what they lost at the fall. I believe the first theophany (Old Testament appearance of Christ) was in Eden: God (Jesus) physically walked with Adam and Eve for they heard the sound of His footsteps (Genesis 3:8). The first Adam and the Last Adam communed together. When Adam sinned, while physical death was postponed, it caused spiritual death that same day. Adam was separated from God, and God was separated from Adam. Both experienced spiritual and physical death as a result of sin, for Jesus also was separated from His heavenly Father before He died on the cross for our sin (Matthew 27:46, 50). When Adam sinned, God killed an animal He had called ‘good’ to make clothing to cover him (Genesis 3:21). Jesus died for us to cover our sins with garments of righteousness (Galatians 3:27, Isaiah 61:10). While Adam was made in the image of God, the elected are to have the likeness of God restored (Romans 8:29, 1 Corinthians 15:49, 2 Corinthians 3:18, Colossians 3:10). We’re being remade in the image of the Image of the invisible God. Because all of mankind are “in” Adam, all have the sin nature of Adam. All of those who are “in” Christ have His righteousness attributed to them (1 Corinthians 15:22). The first Adam suffered death as a result of his own voluntary sin. The Last Adam suffered not as a result of His own sin, but voluntarily, as result of the First Adam’s sin, to bring man back into communion with God. The first Adam, who had life, traded it for death, and thereby gave us death. The Last Adam, who is the Source of life, gave up His own life to give us life (1 Corinthians 15:22, 45). Adam and Eve were given command to govern the earth (Genesis 1:26-27 – note the word “them”). Those in Christ will reign over the earth (2 Timothy 2:12, Revelation 5:10). Andrew, this is amazing insight. Definitely inspired. Thanks for sharing. Adam’s wife was taken from his side. When Jesus is pierced on the cross, blood and water come out. The bride of Christ is formed from the cleaning and New Covenant Blood of Christ. Both Brides are created from the open wounds. This is indeed inspiring and educational. Most appreciative for this. More grace. Jesus was the second Adam, fathered directly by our Creator/ Yahweh/Jehovah/LORD just like Adam #1 with life from God while the substance/earth elements was sourced also from the earth but via Mary see Psalm 139:13-15 for the procedure. Sine Adam #1 was not one with his creator father neither was son of God Adam #2 Jesus one with his creator father. As for the phrase: ‘Lamb slain from the foundation from of the world’ check out the restricted meaning of the Greek word translated world there and compare that with the unrestricted meaning of world in Revelation 12:9. Jesus was and is one with the Father. John 10:30 states this directly. See also John 17:21, 1 John 5:7.
the comparision between 1st Adam and 2nd Adam. maybe the answer lies in the passion week with the difference between Jesus the king who comes into jerusalem and the Jesus the KING who rises on the 8th day. To point out simply, 1st Adam to the 2nd Adam is one week. it is the 4th week that God completes. The three main parts for identification is beginning event is 1st Adam. The middle event is the flood. The end event is 2nd Adam, Immanuel. One could call the week, the Immanuel week. One could call the week the Judah week.